This game is very cute, it have plenty of games and objects scenes, I love the fact that is about music, is not very challenging but it was nice to play. I truly enjoyed the music games. OK, so the semi-bad first. It's not that hard. But it is so much fun! If you like music and enjoy trying things outside the standard Hidden Object or Adventure "go here, do that" game, this one is absolutely worth your time. The basics: you search around to find parts of music scores. 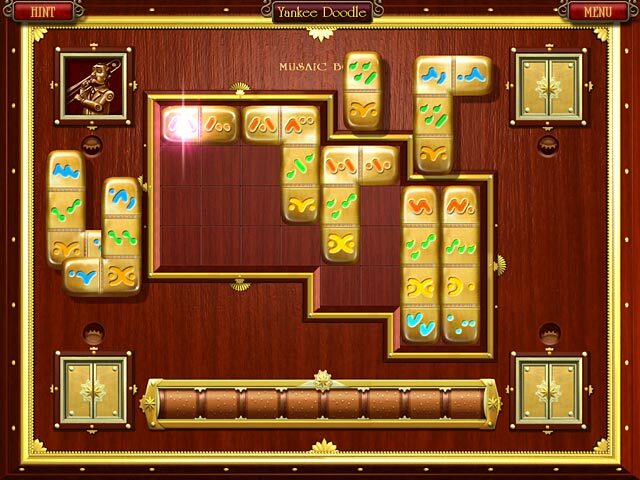 Once you find all the pieces to a score, you enter the puzzle mode to put it back together. This can be done geometrically (figuring out how the shapes fit) or musically (by arranging the tune properly). Sometimes, in the score-finding mode, there are things to do to get the piece. Without spoiling, I will say those things are logical and not far-fetched. The songs are fun and varied. Also, it is kid friendly. Solving the puzzles musically or geometrically is a fun teaching tool for kids. Even little ones can say "That's not the way that song goes." It really is a great all ages game! we are a very musical family - and my kids loved this game (with assistance) - please please please make another! this game is one of the best in my opinion. it is like a hog but the puzzles are so fun i often forgot about that part. i hope a sequel would come out but i know i will for sure replay this game often. Unique! Both musical and hidden object, a lot of fun! I definitely enjoyed this game, and plan to buy it. 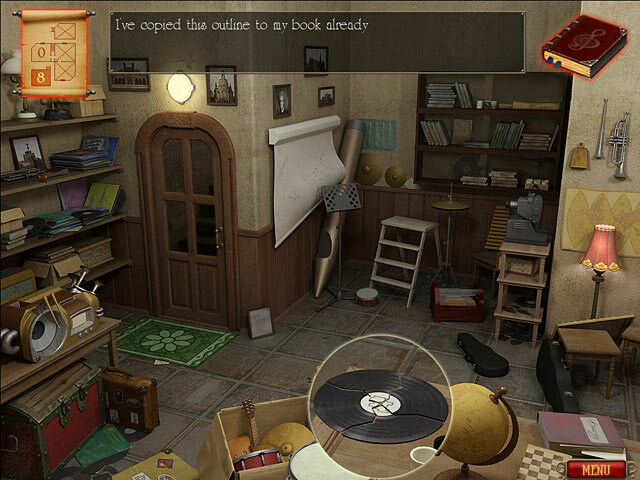 It provided the hidden object game that I like a lot, but then, it called on my music skills from a "few years back" to listen and put some things together. Something else that caught me was all of the references to the Masters of Music, whether it be in a specific piece of music, or an instrument belonging to someone, to a bust or some other object that drew out a bit of knowledge about the Art of Music and its world. I really like this game!!! This game was like no other I've played! Really interesting game concept. 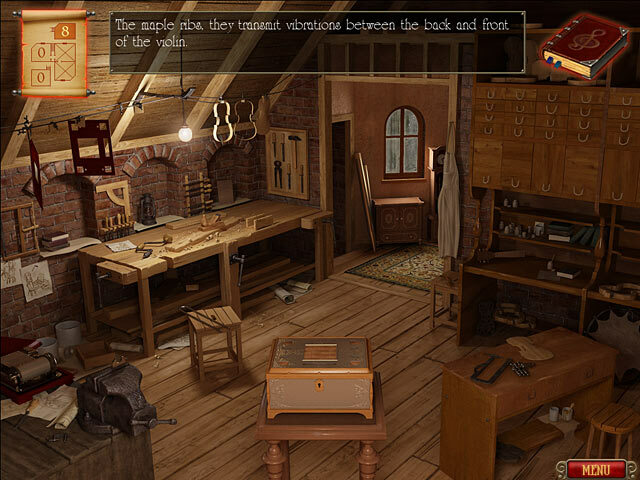 I enjoyed using an ear for music to help solve puzzles in addition to logic and visual cues. If stuck looking for music, wait about 10 seconds and glitters will help you out. I've been having a ball with this game.Its different to most.Its not hard finding the pieces but there's a challenge to put everything together to make it sound right. I'd love to see more games like this.